Halloween evolved from the ancient Celtic holiday of Samhain, modern Halloween has become less about literal ghosts and ghouls and more about costumes and candy. The Celts used the day to mark the end of the harvest season and the beginning of winter, and also believed that this transition between the seasons was a bridge to the world of the dead. Over the millennia the holiday transitioned from a somber pagan ritual to a day of merriment, costumes, parades and sweet treats for children and adults. Americans will spend an estimated $2 billion on candy during the Halloween season this year. Pumpkins have been a symbol of the harvest season & Halloween holiday. 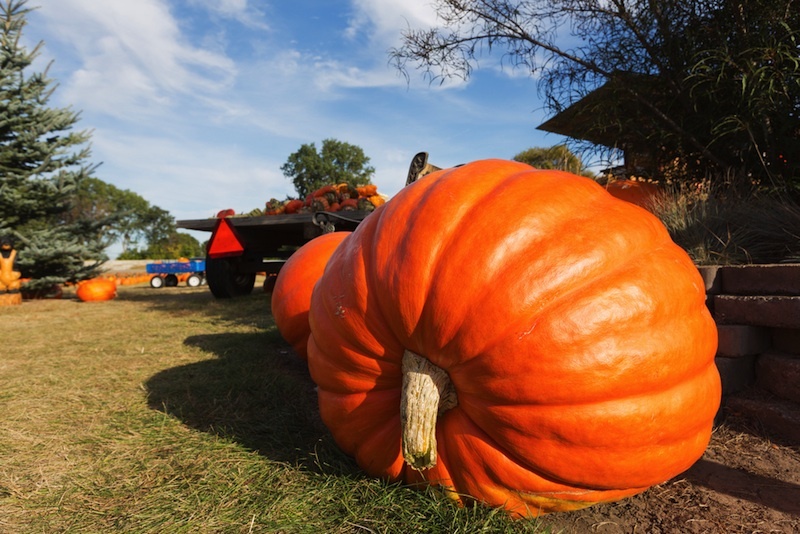 Pumpkins are one of the oldest domesticated plants on Earth, with archaeological and botanical evidence suggesting that people cultivated pumpkins as far back as 10,000 B.C. When the British colonists arrived in North America, they quickly learned to rely on the pumpkin as a survival food because European staples weren’t readily available. Pumpkin could be substituted for wheat and barley in beer and was a fast-growing and hardy crop. 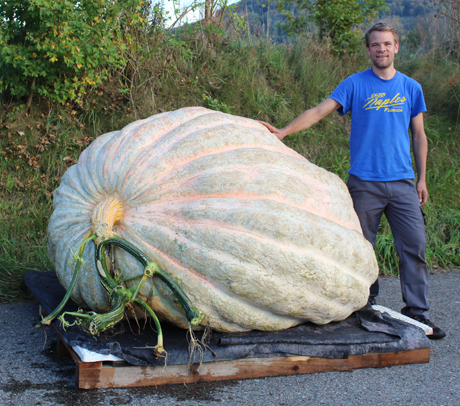 Beni Meier is the current World Record holder for growing a 2323.7 pound pumpkin.